Author(s): Yan Zechen, Fan Pengxian, State Key Laboratory of Dis- aster Prevention and Mitigation of Explosion and Impact, PLA University of Science and Technology, Nanjing, Jiangsu, PR China. Wang Mingyang, Li Zhizhong. Background: Poisson’s ratio is one of the basic concepts of mechanics. The review of patents reveals that the radial deformation of a cylindrical specimen is one of the main parameters for the determination of Poisson’s ratio. However, the widely used chain-type circumferential extensometer needs to be fixed onto such samples and will result in damage when the tested specimens are weak. Methods: To provide an economic, convenient, measuring method, a new device is proposed to avoid the disadvantages of existing measuring methods, which include bedframe and three linear displacement sensors. The linear displacement sensors are evenly distributed around the circumference and the included angle between adjacent sensors is 120 degrees. The maximum observed value of the three sensors is chosen as the measurement recorded by the device. Results: To compare the robustness of transverse deformation measurement methods, a comparative analysis of measurement errors arising from the three measuring methods (circumferential extensometer, collinear displacement sensors, and the proposed device) is conducted, and computational formulae for their error bounds are derived. Comparison indicates that the proposed device is robust and insensitive to centralisation error. Conclusion: We propose a radial deformation measurement device for cylindrical specimens which is composed of a bedframe and three evenly-distributed linear displacement sensors. The device is independent and imposes little contact force on the specimen. It can therefore be used in tests on weak samples such as gypsum and analogue materials. The proposed device is robust to installation deviation of specimens and has a smaller error compared to existing measurement methods. Meanwhile, the proposed device has good adaptability to low strength materials and is economic and convenient in practice. The low-complexity requirements imposed at sample installation will facilitate the test procedure, especially for mass production testing. Keywords: Cylindrical specimen, radial deformation, measurement device, error analysis, analogue materials. Affiliation:State Key Laboratory of Dis- aster Prevention and Mitigation of Explosion and Impact, PLA University of Science and Technology, Nanjing, Jiangsu, PR China. Keywords:Cylindrical specimen, radial deformation, measurement device, error analysis, analogue materials. Abstract:Background: Poisson’s ratio is one of the basic concepts of mechanics. 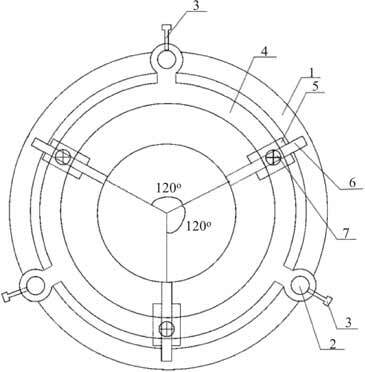 The review of patents reveals that the radial deformation of a cylindrical specimen is one of the main parameters for the determination of Poisson’s ratio. However, the widely used chain-type circumferential extensometer needs to be fixed onto such samples and will result in damage when the tested specimens are weak.